Everest base camp trek is perhaps one of the most popular and more demanding classic trekking in Everest region. 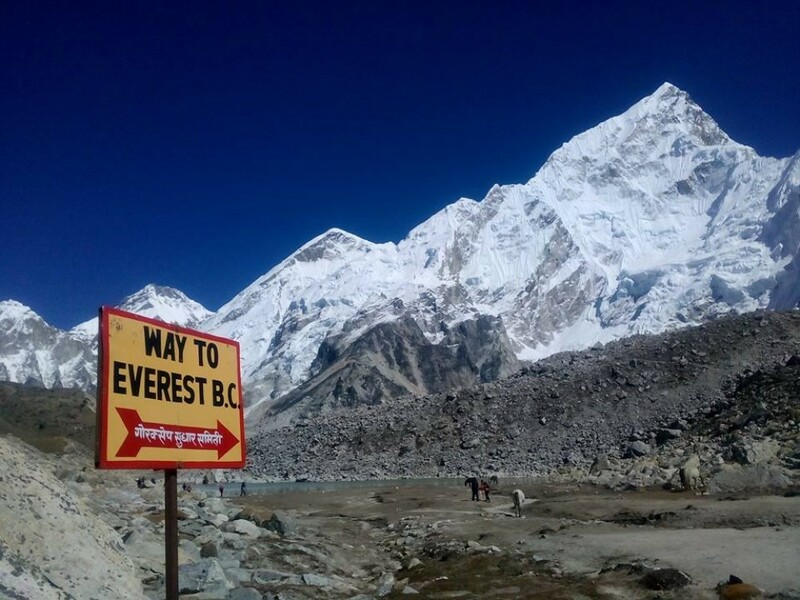 Everest base camp trek has been found as a prime choice encounter of trekkers to see the world’s highest mountain Mt –Everest being face to face. You will hike to Everest base camp where the Everest expedition team begins for climbing Mt-Everest. Likewise, you will climb up to Kalapather to see the magnificent views of snow-capped mountains including Mt-Everest. 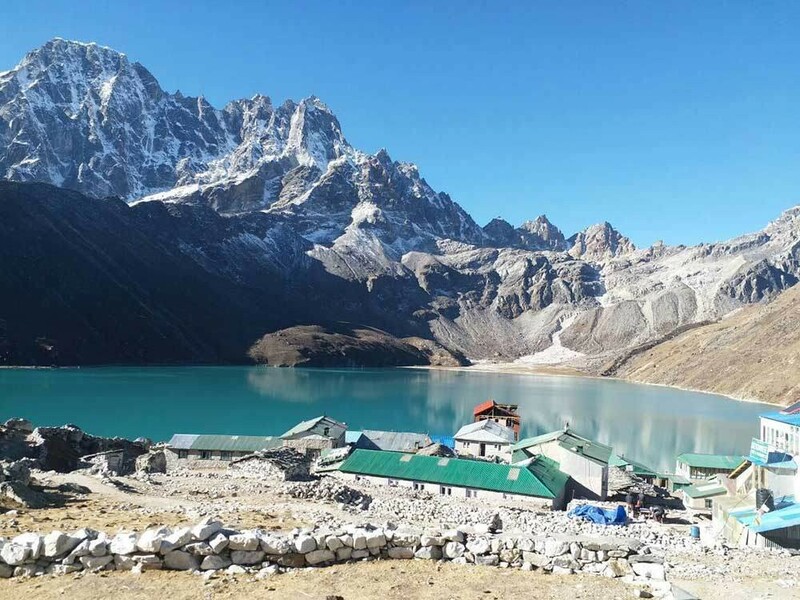 Everest base camp trek is not only for thrilling views of landscapes, as it obviously provides the opportunities to explore the evergreen forest and village situated in a high area with monasteries. Everest base camp trek begins after half an hour flight to Lukla that some time ascents and descents through the forest, village and hill rugged trail. Trekking to Everest base camp looking the heart-beating views in almost 3600 from your every step will always miss your holiday in Nepal. Day 2: KATHMANDU TO LUKLA FLIGHT AND PHAKDING. Altitude: 2,800m/9184ft (Lukla) & 2,652m/8,698ft (Phakding). Walking Distance: 8km (3-4 hours). After a short morning flight to Lukla, you’ll be introduced to your guide and porter. Kick off your trek with an easy walk through Chaurikharka village and descent towards Dudhkoshi Ghat (2,530m/8,300ft). The trail follows the bank of the Dudh Koshi River until Phakding (2,652m/8,700ft), where we will be staying for the night to acclimatize. Enjoy your free time in Phakding, a popular stopping point. Day 3: PHAKDING TO NAMCHE BAZAAR. Walking Distance: 10-12km (5-6 hours). Day 4: NAMCHE BAZAAR: REST AND ACCLIMATIZATION DAY. At this point, we take a well-deserved break! Today will be spent resting and allowing our bodies to become acclimatized to the lofty altitude. There’s an optional 2 h2-Rourke to Everest View Point, an uphill walk that will help speed acclimatization. Otherwise, spend the day exploring Namche Bazaar. Check out the Sherpa museum for an overview of the Sherpa culture and history of mountaineering. On Saturdays, the Hatt Bazaar is open for trading and an intimate look at the locals’ marketplace. It is part of the larger Namche Bazaar, a shopping hub filled with all manner of trekking and mountaineering clothing and equipment. Day 5: NAMCHE BAZAAR TO TENGBOCHE. Walking Distance: 10km (6 hours). Day 6 - TENGBOCHE TO DINGBOCHE. Walking Distance: 11km (6 hours). Day 7: DINGBOCHE: REST AND ACCLIMATIZATION DAY. Day 8: DINGBOCHE TO LOBUCHE. Walking Distance: 11-12 km (6-7 hours). Day 9: LOBUCHE TO GORAKSHEP AND EVEREST BASE CAMP, EBC TO GOREKSHEP. Altitude: 5180m/16,994ft (Gorekshep) & 5364m/17598 (EBC). Walking Distance: 15km (6-8 hours). This is it! Our big day kicks off with an initial, relatively easy trek from Lobuche to Gorekshep. The subsequent, straight trail to Everest Base Camp is harder, involving rocky dunes and moraine, formed can accumulation of unconsolidated glacial debris. On the way to our destination, we’ll approach the famed Khumbu Glacier and icefall, located on the slopes of Everest. At the Base Camp, our goal, you’ll have the chance (during the spring climbing season) to meet climbers attempting to scale the mountain’s summit. Break out your cameras for unbelievable views of breathtaking beauty. As the afternoon sun starts to wane, we’ll head back to Gorekshep for some much-needed rest and relaxation after a grueling and busy day. Day 10: GOREKSHEP TO KALAPATHAR AND PHERICHE. Altitude: 5,545m/18,192ft (Kalapathar) & 4,320m/14,173ft (Pheriche). Walking Distance: 12-13km (5-6 hours). We’ll wake before dawn today to trek towards Kalapathar (which means “black rock”) for a fiery, glorious sunrise over Mt. Everest. The day’s first light will illuminate your spectacular view of Nuptse Nup, Changtse and Lhotse. This may be, of the whole journey, your most opportune moment to snap amazing pictures of Everest and its neighboring peaks. Afterwards, it’s back to Gorekshep for breakfast and down in the direction of Pheriche, our nighttime stop. Our pace will be a lot brisker as we descend, and the walking is easier going this way. Day 11: PHERICHE TO NAMCHE. Walking Distance: 13-15km (7-8 hours). Day 12: NAMCHE TO PHAKDING AND LUKLA. Walking Distance: 16km (6-7 hours). In the morning, you’ll hop a brief flight from Lukla to Kathmandu, where your journey both began and ends. You’ll transfer to your hotel upon landing for some much-needed solo rest and reflection after your trek conquering . We’ll reunite in the evening for a farewell dinner at one of the best Nepalese restaurants in town, where we’ll be eager to hear your feedback on the trip. Day 14: KATHMANDU: DEPARTURE DAY. It’s your last day in Nepal! Grab some breakfast, and then take in some last-minute shopping in Kathmandu. We’ll make sure you arrive at Kathmandu International Airport with plenty of time before your flight home. At this time, we’ll say our goodbyes and bid you farewell, armed with warm memories and gorgeous photos to show your loved ones.